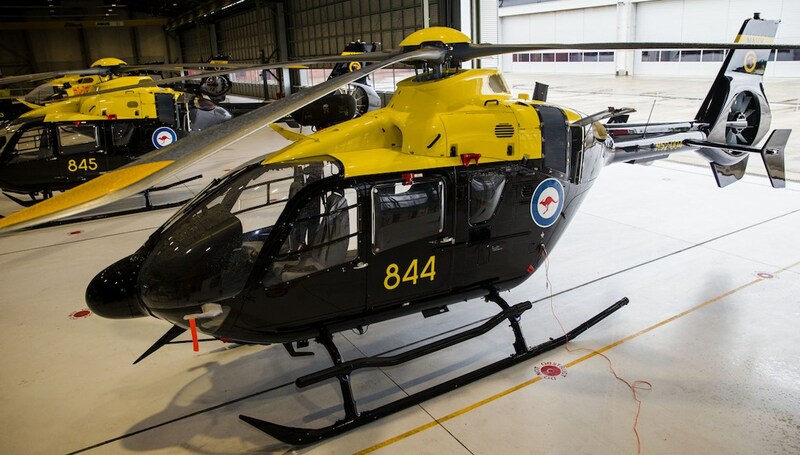 The ADF’s new Joint Helicopter School has graduated its first course of Australian Navy and Army pilots, aviation warfare officers and helicopter aircrew. Set within the Navy’s 723 Squadron at HMAS Albatross, Nowra, the Joint Helicopter School has been established to train Navy and Army helicopter pilots and aircrew using 15 Airbus Helicopters EC135 T2 helicopters, three Thales EC135 Reality H full-flight simulators and advanced training aids acquired under the Helicopter Aircrew Training System (HATS) program. Twenty-eight graduates of No.1 Pilot, Aviation Warfare Officer and Aircrewman Courses were presented their wings by Commander Fleet Air Arm Commodore Chris Smallhorn at Nowra on August 31, after 37 students comprising the first intake began their training in mid-January. “You are now off on the next phase of your careers where you will be tested even further,” CDRE Smallhorn told the graduates. 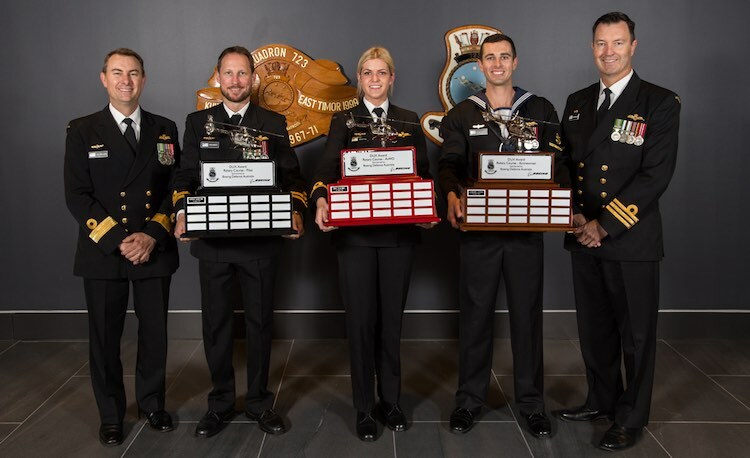 Boeing Defence Australia was the prime contractor for delivering and operating HATS (acquired under AIR 9000 Phase 7), which sees Defence and Boeing civilian instructors work side-by-side delivering pilot, AWO and aircrew training for both the Navy and Army. “In the space of just over three and a half years, the Capability and Acquisition Sustainment Group, along with Boeing, Thales and Defence have delivered training outcomes to ensure we have professional, resilient helicopter aircrews with sound decision-making and teamwork skills,” said Commanding Officer 723SQN, Commander Bruce Willington. JHS will train up to 116 students each year for the next 25 years, including pilots, aviation warfare officers, aircrewmen and sensor operators, in addition to qualified aircrew returning for instructor training. “We’re incredibly proud to have provided these women and men with a modern training system that ensures they’re not only qualified, but are confident they have the skills and experience to transition into operational training,” Boeing Defence Australia general manager of Integrated Services and Support Murray Brabrook said. Dux of the Pilot Rotary Course was Lieutenant Rob McBeath. Aviation Warfare Officer Dux was Sub Lieutenant Ashley Hill and the Aircrewman Dux was Leading Seaman Simon Zammit. “Our Navy and Army aviators operate some of the most advanced equipment in the world, which is now matched by state of the art training facilities that combine full motion simulation, virtual reality and airborne instruction in a purpose-built schoolhouse,” CMDRE Smallhorn said in January when the first course commenced training.